The thing you notice here after America is how refreshingly ordinary people look because they haven't had their chin wrapped around the back of their ears. If I was on a march at the moment I would be saying to everyone: 'Be honest with each other. Admit there are limitless possibilities in relationships, and love as many people as you can in whatever way you want, and get rid of your inhibitions, and we'll all be happy. New Updates! (4/25/2019) We've been working really hard on completing our membership system so you can submit quotes and keep track of them. Once this is complete in the coming weeks there will be a lot more quotes by Ian Mckellen and other authors. We've also changed the sorting on the site so you now see the latest Ian Mckellen quotes first. 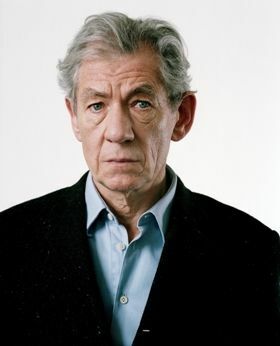 Our goal is to have the best Ian Mckellen quotes on the web!